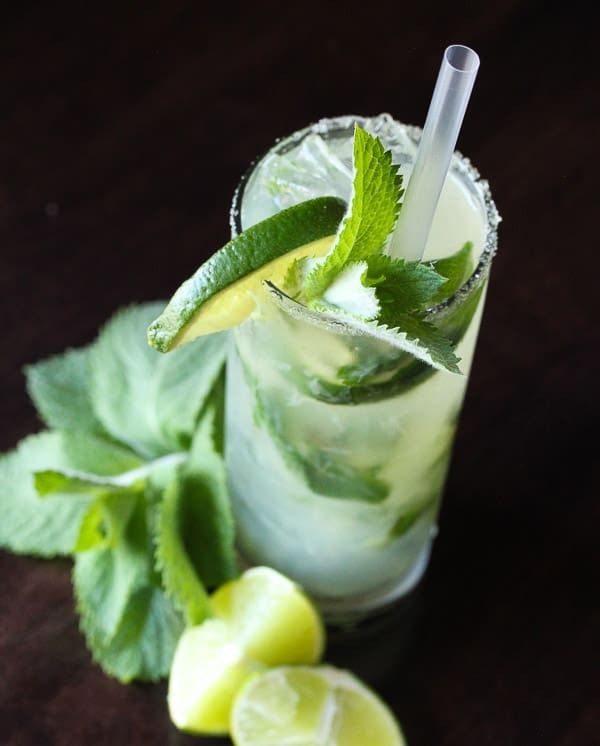 Now I’m not much of a drinker, but I have to admit, I love how refreshing mojitos are! And you can even make a virgin version of this by omitting the rum and upping the dry soda. This is a classic summer drink, and the addition of cucumber makes it that much more refreshing! Fresh muddled cucumber, cucumber soda and mint syrup complement each other perfectly. Bring the water to a boil and add the raw sugar. Simmer for a few minutes until the sugar has dissolved. Add the mint and allow to steep for about 5-10 minutes. Strain and allow to cool before using it in your cocktails. 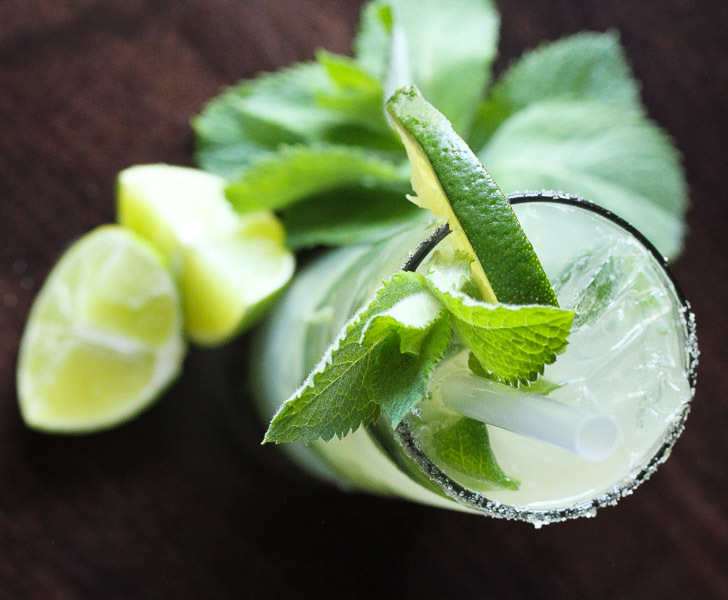 In a cocktail shaker, add the lime wedges, cucumber slices and mint leaves. Muddle together for about 30 seconds, until the oils from the mint and lime have been expressed. Add the rum and mint syrup and shake with about 1/2 cup of ice. 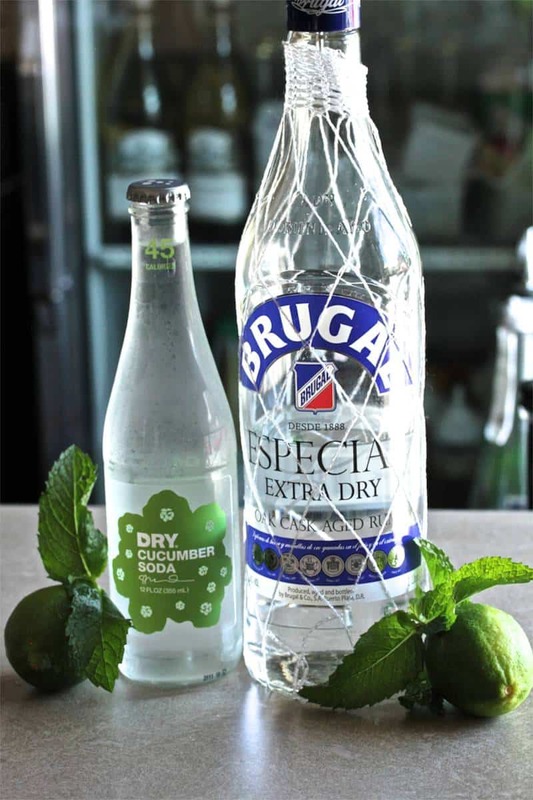 Strain the mojito over ice and top with dry cucumber soda (or just club soda). Do you have a favorite summer drink? Share it with us in the comments! forgot to ask where do you source dry cucumber soda? well, if you can find it, probably whole foods! that’s why I included a picture of it-we use a number of different flavors of dry soda as mixers and they are great! But club soda works just as well. mojito hands down is the best cocktail EVER. definitely could kick back and relax with one right now! It’s 5 o’clock somewhere in the world, right? Adding this spiffy cocktail to the happy hour repertoire pronto! Ha Ha! Yes, I’m sure it is cocktail hour somewhere!